During MSPO 2014, Rafael presents complete range of multi-purpose missiles, including its last unveiled product, the Spike NLOS. The SPIKE Family consists of missiles suited for land, air and naval platforms, multiple ranges and a variety of targets. SPIKE NLOS is an electro-optically guided multipurpose missile for ranges of up to 25 km with pinpoint accuracy and midcourse navigation. The weapon system can be launched from land, air and naval platforms. Spike NLOS provides the gunner with the unique ability to attack targets at stand-off range with no line of sight. The Spike NLOS weapon system can be operated in either direct attack or mid-course navigation based on target coordinates only. These modes allow the force to defeat long-range hidden targets with pinpoint precision, damage assessment and to obtain real-time intelligence. The Spike NLOS electro-optical (EO) seeker incorporates a dual sensor capable of effectively engaging targets day and night, and in adverse weather conditions. Spike NLOS can also be supplied with various warheads specially suited for urban and high intensity conflicts (heat, fragmentation, PBF, PBF/F). Spike NLOS can be used in a variety of battlefields as a solution for classic high intensity conflict (anti-armor), low intensity asymmetric conflict, and stand-off battle scenarios (small group, remote/special operations). Sensors including C4I, UAV and others can be used to provide specific target coordinates. With high reliability and ease of use, SPIKE NLOS delivers maximum operational flexibility with minimal life-cycle cost. The SPIKE-ER is an extended-range, multi-purpose anti-armor missile system designed for operation from various platforms, including helicopters, fast boats and combat vehicles. It can also be mounted on a tripod for ground operation. SPIKE-ER is capable of defeating targets at a range of up to 8 kilometers. SPIKE-ER features a day and night seeker, tandem warhead, and retains the dual operation modes of SPIKE - Fire and Forget, as well as Fire and Observe and Update. This enables the gunner to switch between targets after launch, avoid friendly fire, conduct surveillance/damage assessment and attack hidden targets. SPIKE-ER additionally features a Fire and Steer mode, in which the gunner can launch the missile without pre-locking onto the target and manually steer it to the target (LOAL). SPIKE-ER can be equipped with a variety of warheads for a broad range of combat scenarios including, urban settings, anti-terror missions and low-intensity conflicts. SPIKE-MR and SPIKE-LR are lightweight, 4th generation, man-portable missile systems that share many of the same features that combine to meet the challenges presented by enemy forces. 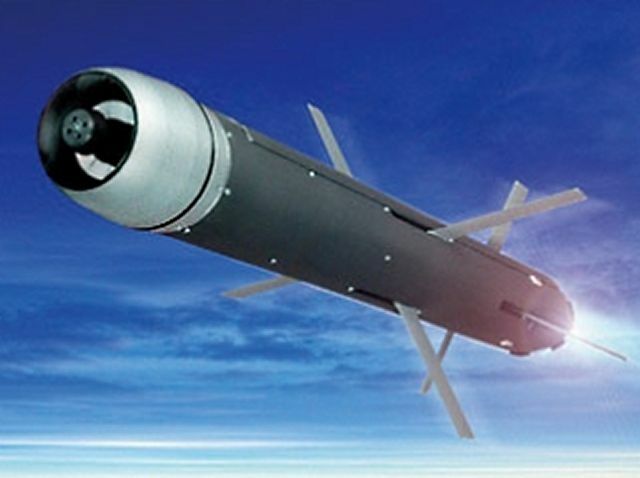 High hit probability against stationary and moving targets is provided by a state-of-the-art CCD / IIR seeker, for operation during day and night and in adverse weather conditions, and an advanced tracker and precision guidance system. Their lofted trajectories for top attack enable the warhead to strike the target at its most vulnerable location with pinpoint precision. SPIKE-MR and SPIKE-LR deliver maximum performance for urban combat, traditional battlefields, ground support and special missions. SPIKE-MR operates in Fire and Forget mode with autonomous medium-range target engagement up to 2500m. 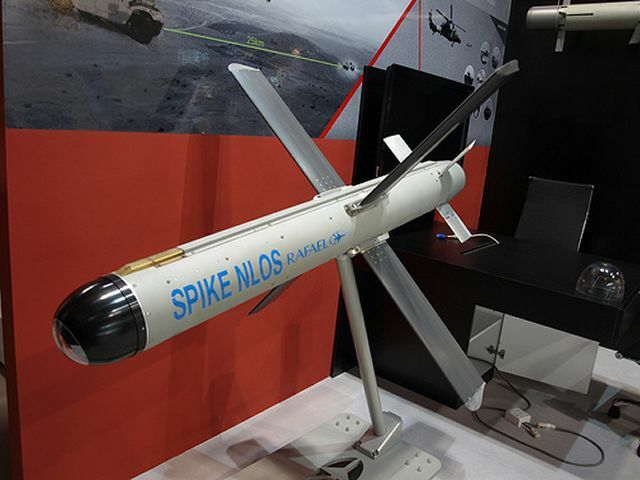 SPIKE-LR has Fire and Forget and Fire and Update capability, and can engage targets at up to 5000m. Both missiles can be fired from an enclosure. SPIKE-MR and SPIKE-LR feature a fiber optic data communication link that provides the gunner with the unique ability to attack hidden targets, update or switch to a more valuable target after launch, achieve pinpoint precision, avoid friendly fire, conduct surveillance/damage assessment, and obtain real-time tactical intelligence. SPIKE-MR and SPIKE-LR share the same command launch unit (CLU), thermal sight (TS) and identical missile technology. 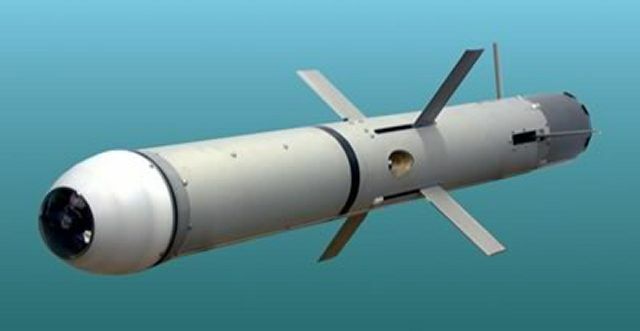 Both systems offer many of the same benefits, including high survivability, pinpoint accuracy and low life-cycle costs.